There's a 17 a few miles to the right. 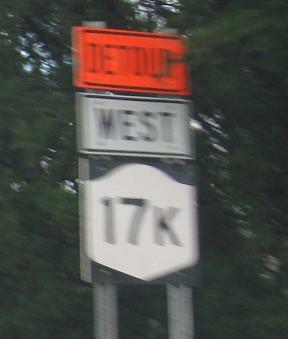 There was a 17 a few miles back (17K, to be precise), and there's a 17 right here as well. Depends how picky you are. I think this means some sort of named construction entrance, so NY 302 must be a significant construction vehicle route. 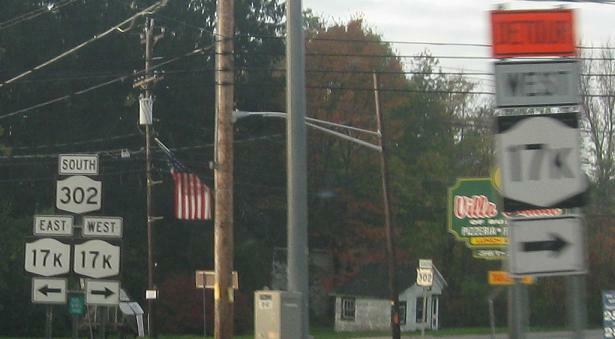 It doesn't make sense as a detour, because EB traffic to NY 17 should make a left and, of course, head east. 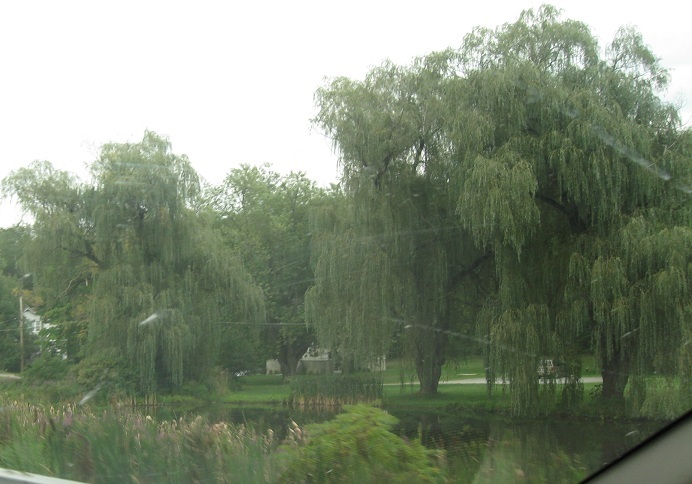 (On the old road, no less - 17M is the original 17.) This is normally just the end of NY 302 SB. How's this for confusing - the same A detour, entrance, whatever is signed on CR 101 SB away from NY 302 in the opposite direction (NB) from NY 17 compared to the first photo! 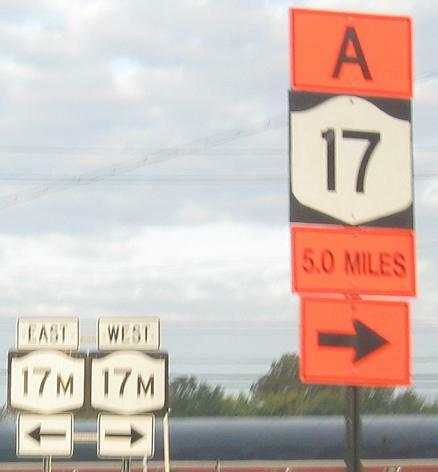 The SB sign at NY 17M points essentially north despite the east-west signage, so there's no way for the two A's to reconnect later. Were these used for different projects? (There's a year between photos.) Did A move? If these signs are still around, maybe I'll go follow them to find out where they lead and settle this mystery. Decent job by the contractor given recent attempts at permanent signs, but it needs more width. 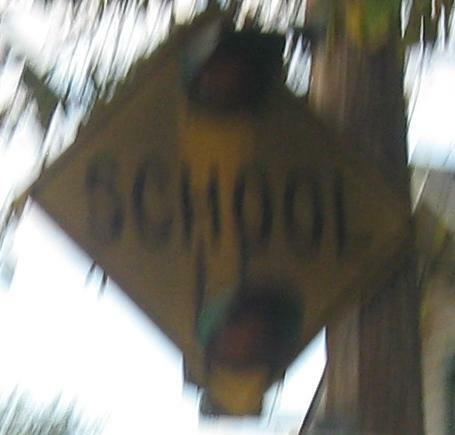 The school sign has certainly seen better days. Both are SB. The end of the detour, but that's of course obvious because the next sign tells you NY 17K WB is to the right. Which raises the question why detours are always signed right into the same turn you would have otherwise taken. Why not put "end detour" right on that next assembly? Does that require people to have IQs above 85 in order to comprehend it? If you're going to be adding in unnecessary signs, please add a straight arrow below the NY 302 shield, which might actually come in handy and belongs there.